Dean Jacobs has always had a great love and interest in drawing and he hoped one day to turn his passion into a profession. Starting with sketching famous people, he moved onto oil painting and then inevitably into digital computer illustration, where he now uses airbrush techniques to create his distinctive illustrative style. Dean studied Art and Design at the Sunshine Coast University and has worked as a Graphic Designer for a number of years. 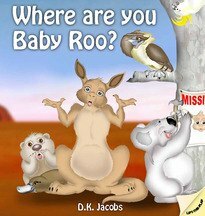 Dean has just completed his first two major children's books, 'Colin, The Cranky Kookaburra' and 'Poor Little Dino Spark'.